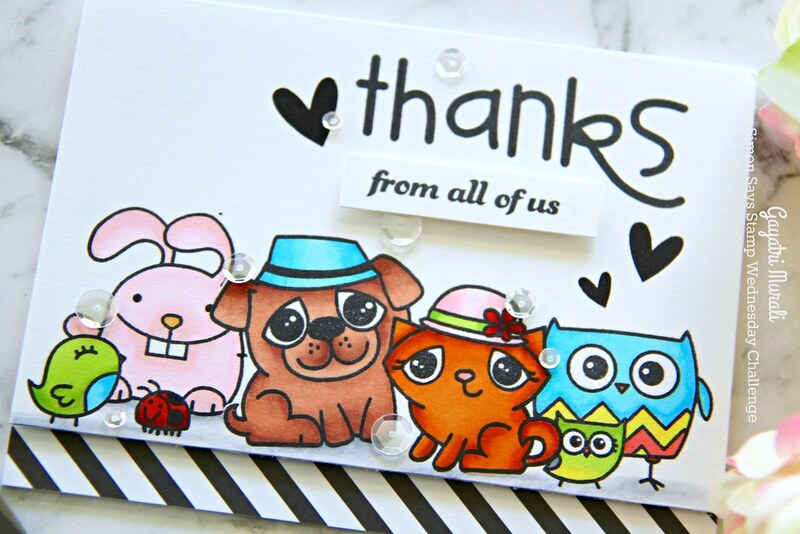 Thank you for joining us for the A Bit Of Sparkle Challenge and we hope you will all join us again this week too. Most of us love our little furry friends, whether you are a cat, dog or wild animal lover we will be looking forward to seeing what furry friends you choose to feature on your creation! This week we are showcasing Paper Smooches Products. You don’t have to use them for the challenge but if you have them we would love to see them used. I used the gorgeous We Adore You stamp set along with Bold Buzzwords stamp set from Paper Smooches to make my card for the challenge. I stamped the centre dog and cat image first, masked the image and stamped the bunny and owl images on either side. Then I coloured them all using copic. I didn’t want them to be realistic but more fun. So I went to town with the colours. I also grounded them all using grey copic markers. Then I trimmed off half an inch off the bottom of the panel and stamped the big sentiment from Bold Buzzwords stamp set on the top right. 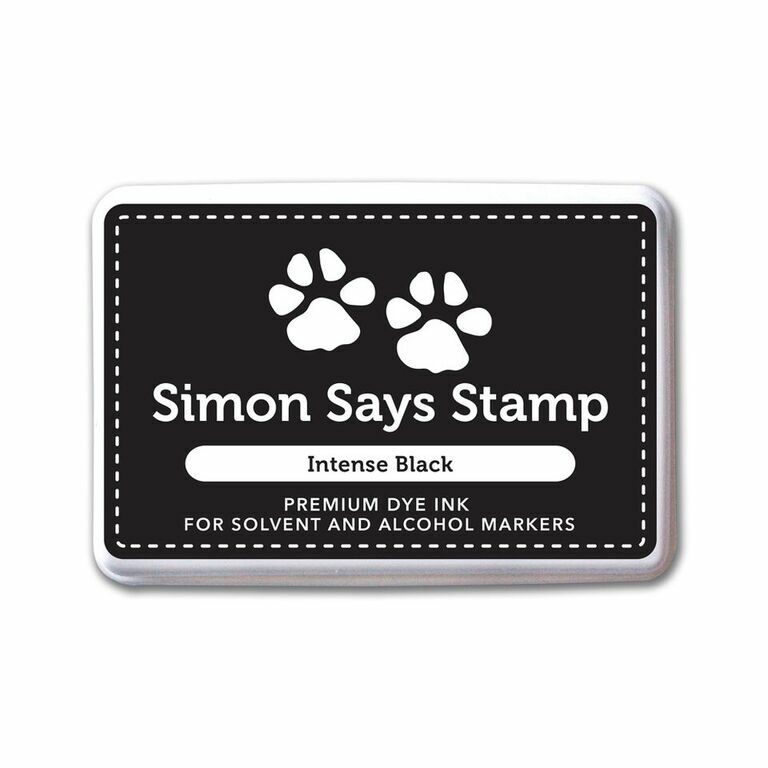 The smaller sentiment from We Adore You stamp set is stamped the a strip of white cardstock, trimmed and adhered using foam adhesives. Then I used the heart shapes from the same stamp set to randomly stamped on the panel. I adhered the black and white pattern paper on the bottom of the card base and the panel is adhered on the top of the card front using foam adhesive showing the striped pattern paper on the bottom. I finally embellished with Sparkly Clear sequins from Pretty Pink Posh. Love all the furry friends on the card. So now it’s YOUR turn to get out your furry critter supplies and join in! Cannot wait to see your take on the challenge. Thanks for stopping by today. Have a lovely week. Love this collection of critters, Gayatri, great masking! Love this colorful gang! So cute. What a great coloring and masking job. Adorable card Gayatri! Such sweet images!! Too cute! ADORE your coloring, Gayatri!! such a delightful card! AWESOME work as always!